Tickets are now available for the 2019 Great Lakes Freighter Trip Raffle. Thank you to DTE Energy and Interlake Steamship Company for once again donating trips on a Great Lakes Freighter during the summer of 2019. This is the 13th year these trips are being raffled to raise funds for the United Way of St. Clair County Campaign. Two drawings for a trip for two people (age 18 or over) aboard a Great Lakes Freighter during the Summer of 2019 The drawing will be held Thursday, April 25th, 2019. All proceeds benefit United Way of St. Clair County. Ticketholder does NOT have to be present to win. Winners will be required to obtain a passport prior to the trip. The actual trip schedule is determined after the drawing in April by Interlake Steamship Company. Tickets purchased and Trip won CANNOT be sold. If purchased online or over the phone, please allow up to 15 days after purchase for your ticket(s) to be mailed. Thank you! 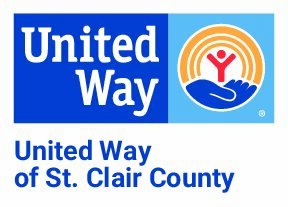 © 2019 United Way of St. Clair County.